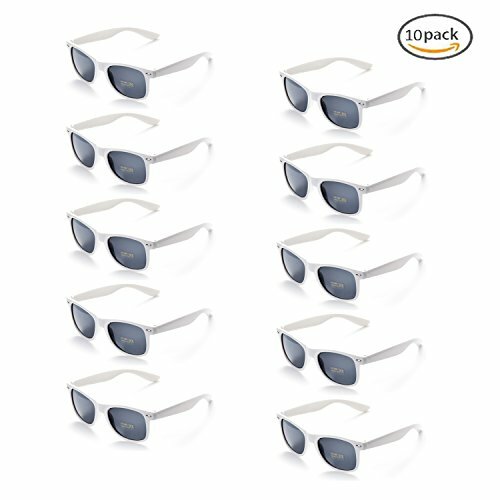 Packs sunglasses are great for any teens, adult party or event. Quality great for everyday use and also great for gifting. Bridal shower party favors, bachelor parties, children's birthday party toys. This product complies with European Directive 89/686/EEC in accordance with standard NF-EN-1836:2005/A1:2007. Recommendations for Maintenance and Storage: Wash in soapy water, wipe dry with a soft cloth after rinsing. Keep lenses free from scratches to maintain quality compliance. If you have any questions about this product by Onnea, contact us by completing and submitting the form below. If you are looking for a specif part number, please include it with your message.